In a recent article from RCR Wireless, Sprint/Nextel has unveiled a 30-day money-back guarantee for new wireless subscribers. It's a pretty bold move, and quite possibly a tactical one if: A) first quarter results will be less than Wall Street expected or B) Sprint/Nextel believes it is in fairly dire straights or C) Both. It will be interesting to see how customers, investors, and competition perceive this. Time Warner had been saying some pretty nasty stuff about AT&T's IPTV product, U-Verse. This, according to the Council of Better Business Bureaus. 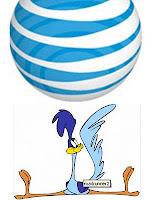 AT&T took TW to task after they claimed their HD service was "free" and AT&T was charging. In fact, AT&T does charge $10 per month for HD service, but as it turns out, TW does as well. This was hammered home on many Time Warner TV ads. Another ad (falsely) claimed that AT&T's IP data slows down when their IPTV subscribers watch HD programming, causing a "collision" of signals. These same ads also claimed that customers are forced into long term contract when they complain about these slowdowns. TW has "voluntarily" agreed to change their advertising. Moments after I posted about new methods of financing for FTTH deployments, comes this: Google, who had announced they were looking for community gigabit (yes, gigabit) deployments, appears to be extremely serious. They have now announced that the amount of money will be in the range of "hundreds of millions of dollars", so there is now an unofficial scramble between communities. To wit, this story from Gizmodo on Topeka, KS formally (and temporarily, hopefully) changing it's name to "Google" in order to attract Google to build out their project in that corner of Kansas. This is not the last we will hear about this, certainly. 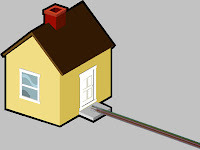 Should users finance Fiber to the home?